Therese Laeger, a Birmingham native, joined the Cleveland Ballet in 1979. She returned to Birmingham to work with international ballerina, Dame Sonia Arova and choreographer, Thor Sutowski in the development of the Alabama Ballet/Ballet South. With the Alabama Ballet, she performed major roles in ballets such as La Bayadere, Giselle, Sutowski’s Midsommarnatten, and Balanchine’s Concerto Barocco. The coaching she received under Arova and Sutowski strongly influences her work. Following her performance career as a soloist and principal dancer, Ms. Laeger continued as Ballet Mistress and Assistant to Arova and Sutowski helping stage classical and neo-classical works for the Alabama Ballet and the Atlanta Ballet. Her pedagogy includes work with director Claude Bessy and Serge Golovine of the Paris Opera Ballet; London’s Royal Academy of Dance, and with John White in the Vaganova teaching method. She appears in Who’s Who Among American Women. 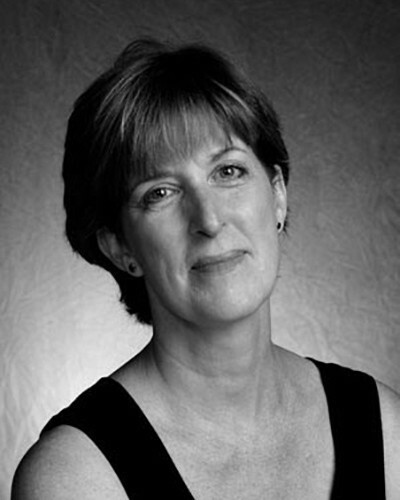 As Chair of the Alabama School of Fine Arts Dance Department from 1997 – 2007, she brought an impressive roster of international teachers and choreographers to the school and established many strong programs. Her graduates are dancing in ballet companies throughout America. Currently, she is also an adjunct professor at the University of Montevallo Department of Theatre teaching ballet and Ballet Master for AROVA Contemporary Ballet. She is also Executive Producer of the documentary AROVA about Bulgarian ballerina Dame Sonia Arova, founding Artistic Director of the Alabama Ballet.